A team of cosmonauts has begun training for the next mission to the International Space Station against a backdrop of concern over the crash of the Progress and its implications for the safety of future manned missions. 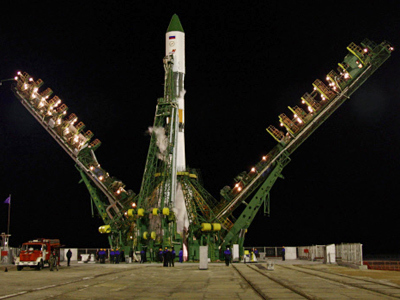 Preparations for blast off are underway despite the postponement of the ISS crew’s mission due to the failure last week of the Soyuz rocket carrying the Progress cargo truck to supply the ISS with food and tools. The next team of three cosmonauts will take their final examination at Moscow Star City on Thursday. 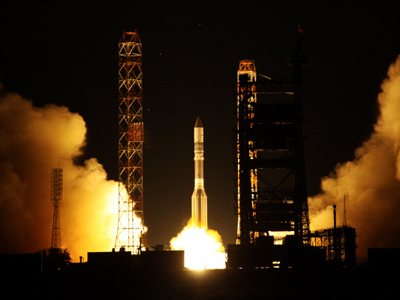 Anton Shkaplerov, Anatoly Ivanishin and Daniel Burbank do not know when they will launched to the ISS, but they show no signs of either disappointment or apprehension following recent launch problems, RT’s Peter Oliver reports. “Of course any change to the plan is a challenge for the crew, but this is what they are trained to handle,” Head of Cosmonaut Training Centre Sergey Krikalyov told RT. For now, the cosmonauts have only one thing on their minds – passing their exams to prove the years of tough work and training were not in vain, and coming a step closer to their dream of taking part in a real space mission. 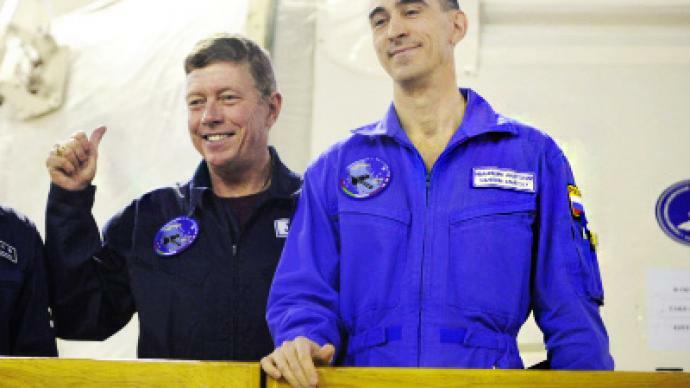 Cosmonauts and astronauts who have already passed through the ISS have cheered the new crew, saying there should be no problems with the carrier modules. Meanwhile, the probe into the Progress crash is still ongoing and for the moment, there is no confirmation the failure was related to the Soyuz rocket. The most likely reason for the truck’s high-altitude crash are mistakes in the organization of the launch, experts say. The crew currently aboard the ISS are, of course, disappointed about the loss of the supplies from the Progress cargo space craft. However, it poses no threat to the lives of cosmonauts on the station. 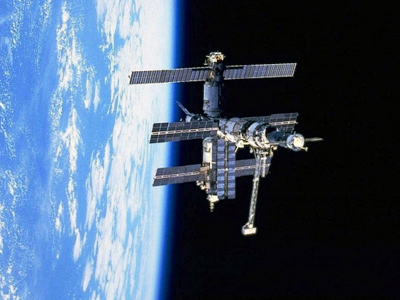 The last delivery to the station was carried out by a space shuttle, which had a far bigger payload than any space vehicle, and supplied the station with extra stock. So the ISS crew still has plenty of food and water to last them until the next cargo launch, Peter Oliver said. The main problem being addressed now is the future of the Soyuz rockets that are used as carriers for all crafts traveling to the ISS – be they manned ships or cargo trucks. What is important now is to make sure the manned mission will be safe at blast off and that the next launch of cosmonauts to the ISS will be a success. 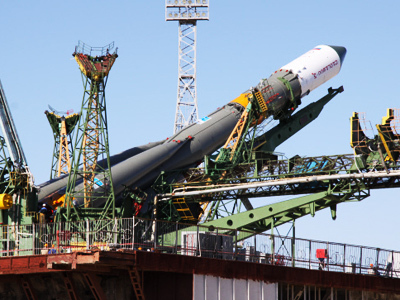 Current delays in launches should give engineers ample time to ensure that the Soyuz rockets are free of technical problems when they next take to the skies.